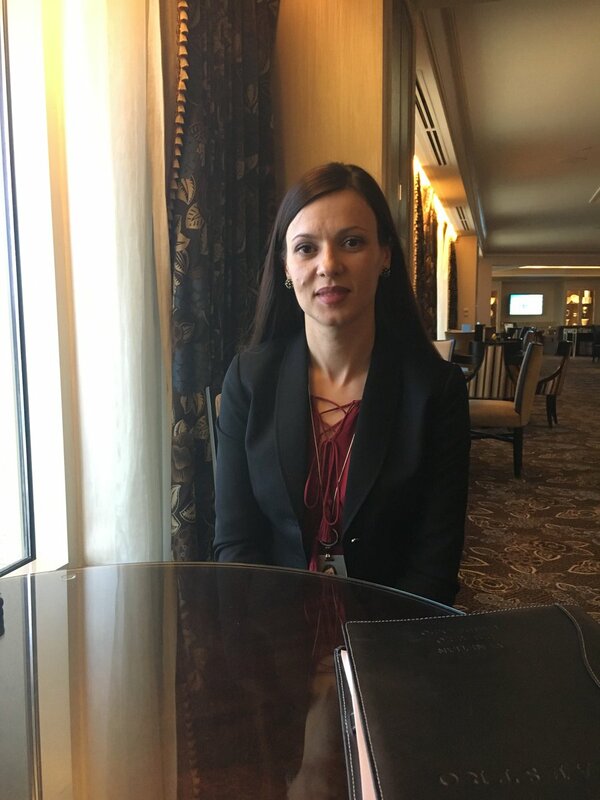 Shortly after transitioning from Assistant Pool Manager to Refreshment Center Manager at The Venetian and The Palazzo, Sonila Dhima was made aware of courses offered through Sands Academy. In conjunction with the Learning and Development courses offered to all Team Members, Sands Academy established the Elevate Series, a series of courses focused on providing tools for leaders to manage their Team Members and build relationships to ensure success within their departments. Taught by various Team Members within Sands Academy, Dhima said Ian Thompson, Director of Talent and Organizational Development, taught the Effective Feedback course and explained to the class that finding the right place and the right time to address an issue with a Team Member is best. Dhima said what she learned from the course is that Team Members look at feedback as punishment. When managers issue discipline, it’s to fix an issue, not punish the Team Member. Feedback should be used to improve the working relationship and open up communication channels. In Team Building and Trust, over 40 people were in attendance. Managers and supervisors had to participate in a group exercise called Traffic Jam, where they had to work in teams to get people from one side of the room to other using squares on the floor that couldn’t be skipped or jumped. Managing a team of 26 Team Members, Dhima says her department deals with various special projects in addition to their daily tasks and when a problem needs to be addressed, they all have to work together to fix it.